Our range of products include commercial ovens. 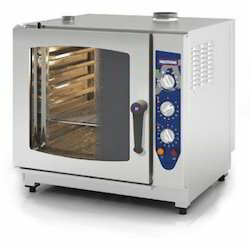 Our organization is instrumental in providing a comprehensive range of Commercial Ovens. The ovens offered by us are procured from the reliable vendors of the market in synchronization to the latest industry norms. These ovens are widely acclaimed among the clients for their optimum performance and sturdiness. We provide these ovens in various technical specifications as per the demands of our esteemed clients at nominal price.